Later the headmaster sent for Scott-King. "You know," he said, "we are starting this year with fifteen fewer classical specialists than we had last term?" "I thought that would be about the number." "As you know I'm an old Greats man myself. I deplore it as much as you do. But what are we to do? Parents are not interested in producing the 'complete man' any more. They want to qualify their boys for jobs in the modern world. You can hardly blame them, can you?" "What I was going to suggest was — I wonder if you will consider taking some other subject as well as the classics? History, for example, preferably economic history?" "But, you know, there may be something of a crisis ahead." "Then what do you intend to do?" "If you approve, headmaster, I will stay as I am here as long as any boy wants to read the classics. I think it would be very wicked indeed to do anything to fit a boy for the modern world." 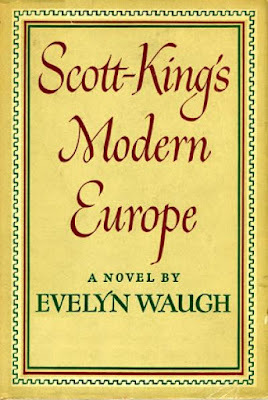 "It's a short-sighted view, Scott-King." "There, headmaster, with all respect, I differ from you profoundly. I think it the most long-sighted view it is possible to take." 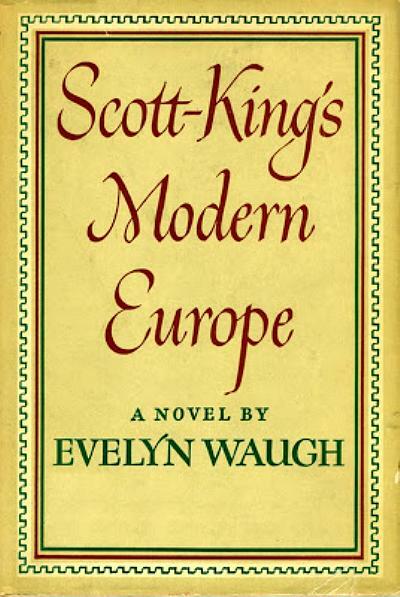 Evelyn Waugh, Scott-King's Modern Europe, Boston, 1949, pp. 88-89.